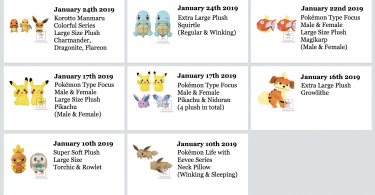 Banpresto’s Kutsurogi Time (or “Relaxing Time”) plush line is getting four new additions in 2019. 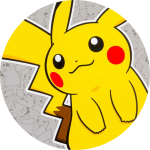 Pikachu and Squirtle are first up in March 2019. Bulbasaur and Charmander will follow in April 2019. 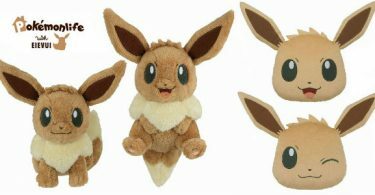 These large plush will be approximately 25cm long/tall and made from a fluffy fabric. As always, Banpresto prizes will be released in UFO catcher crane games in arcades across Japan. Stay tuned to Pokécollective for more photos as their release date gets closer!